Today's budget adds a further 11p to the tax burden carried by an average bottle of wine. Many - most? - retail prices will rise to accommodate the tax, but there will still doubtless be bottles on offer at 3-for£12 in which the wine content will be minimal. Unfortunately, few consumers have any idea how little of their £5 actually goes towards the liquid in the bottle - and how much more wine they get for every extra pound they spend. So here's a modest proposal for independents and maybe even a few larger retailers) to consider. Why not print the tax contribution on shelf talkers beneath each bottle? 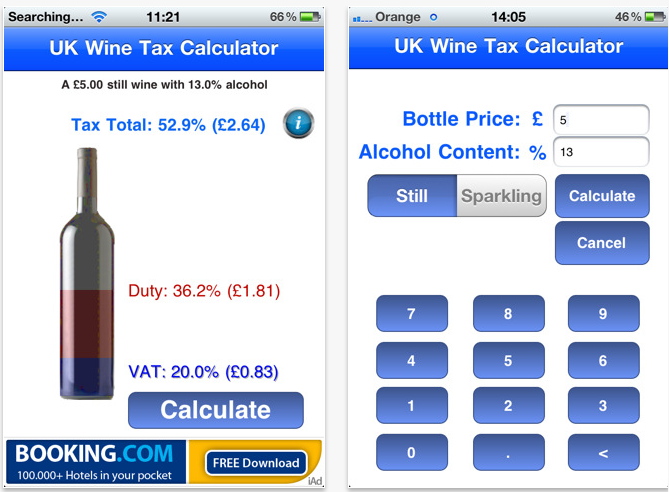 Calculating the figure is simple, using the UK Wine Tax Calculator iPhone app which I believe is being updated to adjust to the new rates. Obviously, it wouldn't turn back the tax tide or reduce the likelihood of further hikes, but maybe, just maybe, we might persuade a few British consumers of the logic behind buying a slightly pricier bottle. Setting aside the question of whether fruit and veg descriptions have any real resonance with many consumers, there is the more fundamental one of whether or not the brief review should include a mark of any kind. The philosophy behind it seems to be firmly against any such inclusion and that I believe will be a fatal handicap. At least outside the goldfish bowl of "wine people". Just think for a second of the question most wuggles (the wine world's equivalent of JK Rowling's people who "lack any sort of magical ability and was not born into the magical world" (of wine), tend to ask us. "What is the best wine you've ever tasted?". They never seem to want to know whether Chateau X is more cherryish than Chateau Y; they simply want guidance on which bottle to look out for - or lust after. So, my prediction is that #7wordwinereview will either wither on the vine - or evolve into #7wordwinereviewandmark. In any competition, there are the winners on the podium and the losers skulking in the shadows, muttering darkly about how they were robbed of a prize they believe was their due. In Bordeaux last week, most of the buzz was inevitably about the dozen-and-a-half chateaux that had just been beatified by Pope Robert I (or given 100 points, in wine-speak), and how much demand there was or wasn't for these wines. And about the "fairness" of the marks. What, at least one sub-100-pointer wanted to know, if the 2009 sample Pope Robert tasted was not actually typical of the chateau's production in that year? What if a special bottle had been prepared for him to taste? I'm not sure whether the person making this suggestion (their wine had lost a few points between Parker samplings by the way) was saying that a wine that got a deserved 95-points in barrel had been dishonestly doctored to be given an extra five, or whether it was perhaps not even a genuine 95-pointer in the first place. After all, if you believe that your competitors are responsible for dirty tricks, there's no limit to the misbehaviour you might imagine them coming up with. And if producers tinkered with 2009 wine that had every possibility of being naturally pretty good, what might they do to next month's barrel samples of a 2011 vintage in which few have any real confidence? Of course people like me are not really supposed to pass on this kind of gossip, but if it comes from highly-experienced people at the heart of the region's wine trade, I see no reason not to do so. The chateaux and negociants of Bordeaux have all colluded in giving insane levels of influence to the occasional encounters of one liquid and one human palate. Some Bordelais - and others - have sometimes benefitted hugely from some of these encounters, Some have not. On the occasions when the referee rules in their favour, they leave the pitch with a smile. When they don't, they shout "foul". Simple as that. Wine is a natural product... So, obviously there's no reason for anyone to need to print a list of ingredients on a label; after all, what are you going to put there apart from grapes and SO2. Then you take a look at contents such Diammonium phosphate (yeast nutrient), Bentonite and Pectinolytic Enzymes (fining agents), whose names appear on bottles of own-label wine at the Co-op in the UK, and you seem to have another very good reason not to want to opt for disclosure. Do we really want to scare the consumers? Are they capable of handling this information? Shouldn't we leave them in their ignorant bliss? Until recently, the only pressure for ingredient listing has come from outside the industry. Indeed in the UK, the Co-op claims that to do so is actually illegal; after 13 years, this is still the only chain to have taken this step. But now there's a robin in the nest; a group of - some would say eccentric - winemakers are beginning to create a situation in which these listings may become a necessity. Producers of natural wines and their keen fans murmour darkly about the potions to which "industrial" winemakers (a term that sometimes seems to cover anyone who even adds sulphor to their vats) routinely resort. This pressure is unlikely to go away, especially as the Naturalistas slouch slowly towards legally defining sets of standards and practices. Obviously no one is going to suggest that everybody should go natural, but the existence of these purists inevitably raises questions about what others are doing. Observers like Fiona Beckett are writing compelling pieces in which winemakers such as Jason Lett of Eyrie Vineyards in Oregon dish the dirt on "Why some reds are so soft and syrupy"
There's a parallel here with what is happening in countries like South Africa and Argentina. If you're not certified as a Fairtrade winery, you'd better demonstrate that you treat your employees properly. I know that there's not much space on a back label (and that European producers often prefer to not even to have one of these) but that's also true of a yoghurt pot and a chocolate bar, and producers of those products seem to manage. Just as they also manage to achieve some level of accuracy in what they print there. Could somebody, somewhere please tell me why New World wines think that it is legitimate to allow themselves 1-1.5% leeway in their alcohol content? A wine labeled "12.5% alc. by vol." can, in reality, actually contain between 11.0%-14.0%. Above 14%, the margin drops to 1%, so a Californian Zinfandel labeled "15.4% alc. by vol." might actually contain anything between 14.5%-16.5%. I'm fascinated to see that among the most frequent comments (on Twitter, Facebook and in the replies in this blog) about the London Intl Wine Fair and Prowein are complaints about Excel being an inconvenient place to get to and about the cost of WiFi and unavailability of food in Dusseldorf. Get real! Excel is a successful exhibition venue; the LIWF is one of its smaller events. Thousands of caterers make their way there to look at cookers and plates at the Hotelympia fare; travel agents and operators from across the country pack out the Travel Market. What's so bloody precious about wine people that we can't handle the DLR? If the wine trade was booming in the UK, the show wouldn't even be at Excel; it would be at the NEC in Birmingham, another inconvenient venue that has little difficulty selling its space to trade fairs. As for the the WiFi complaint. Yes, it's annoying to have to pay €40 to be able to tweet or check one's email, but on a scale of 1-10, I'd place it very near the bottom. If that's all the Germans have to worry about, I don't think they'll be losing any sleep. No-one who wandered the halls at this week's Prowein fair and remembers last year's London International Wine Fair (LIWF) can have failed to have noticed the difference between these two events. For anyone who has been to neither, just imagine the contrast between New York and Norwich or Lille and you will have a pretty fair idea. Prowein is huge and growing huger (there's a long waiting list and two more halls will open next year), while London is parochial and shrinking. PLB, one of the UK's biggest wholesalers has lived up to its threat and dropped out and today brings news that New Zealand will not have a national stand. I have to declare a pair of interests. I chair the LIWF Conference and expect it to be a great event and I am also one of the presenters at the Meininger's International Conference that immediately precedes Prowein. As a publisher, Meininger is also involved with the Dusseldorf event, but I personally have an emotional relationship with the one in the UK. I remember when it consisted of a few tables in a room above a department store on a London High Street. But the UK wine trade has changed and the LIWF no longer has a reason to exist in its traditional and current form. Stand space is expensive, there are too few key buyers and nobody enjoys the journey to Docklands. The possibility of meeting lots of sommeliers and owners of independent retailers is always welcome, obviously, but the amount of wine any of these can buy is limited and the cost per stand visitor is high. (As one former exhibitor said "I could give each of the useful people I see a Rolex and still be in pocket!"). The organisers talk about introducing changes, but nothing leads me to believe that these will be radical, and any suggestion of accommodating those dirty, ignorant, annoying human beings known as consumers seems to be firmly excluded from the agenda. If the LIWF organisers and the committee that advises them are ready for some genuinely lateral thinking, their event - or a version of it - could survive. 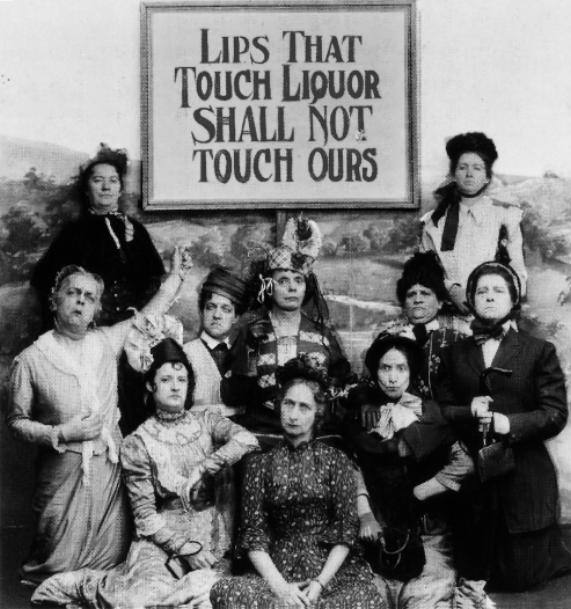 If not, someone may soon be reading the LIWF last rites. The same applies to the members of the wine world who dislike the power that is wielded by Robert Parker and wish that it would simply go away. Parker points are losing their influence, they declare, on the basis of a couple of conversations, usually with people who share their views.There may be some truth in this, but far less than the anti-Parkers would like to imagine. Since the guru published his latest review of the 2009 Bordeaux, Liv-Ex reports that prices of some highly rated chateaux' wines have risen by 20%, and over 60% of recent trading has been totally focused on that vintage. Jean-Charles Boisset reports similar excitement over his Burgundies following their assessment by the Parker team. Anti-Parkers like to claim that the Chinese are not interested in his marks; people actually selling wine in China tend to disagree. But... even if the anti-Parkers got their wish, what precisely do they expect to replace those points? A Utopia in which consumers intelligently make up their own minds? Or follow the advice of a critic with whom they - the anti-Parkers - feel more in tune? Dream on my friends - and remember the many many instances of nations that have overthrown their ruler, only to have him replaced by someone unimaginably less congenial. No-one is indispensable, as Andre Villas-Boas the manager of Chelsea football team discovered this week, after a series of lost games led to his dismissal by the team's owner, Roman Abramovich. Underperforming wine regions and indeed entire countries can suffer a similar fate, and coincidentally, Portugal is facing a similar removal from the scene - or at least from the shelves of Majestic, the UK's leading specialist wine retailer. Not surprisingly, the Portuguese producers at Prowein who heard about this move felt highly affronted. How dare Majestic treat us like this? they asked, forgetting that retailers are entirely free to decide what they do and do not want to sell. Few appreciated my blunt analysis: if Portugal is not on Majestic's must-stock list, there's no-one to blame except the Portuguese winemakers. If the marketing contribution provides such a large reason for the chain to list these wines, they clearly aren't doing something right. In simple terms, if customers were coming into the stores in sufficient numbers asking to buy Portuguese wines, there is no way that Majestic would dream of removing the bottles from its stores. In the same week that I heard this story, the Bordeaux-based winemaker, Francois Lurton, announced that he was going to give up his share in a Portuguese wine venture, citing poor sales as his reason. These two stories are not unconnected. I happen to share the sommeliers' and critics enthusiasm for Portugal's best wines, but I also understand the need for effective branding, marketing and distribution - three grubby words whose importance is sadly underappreciated by the Portuguese producers and their fans. Ok, I apologise for my customary facetiousness but, unless you've paid for advertising or, like me, signed up for extra space on the gmail server to store gazillions of old emails (because I'm crap at throwing stuff away), I'm pretty sure that you've never actually given any of these services any cash. On the other hand, like almost everybody else, you've almost certainly taken ample advantage of what they have to offer. And quite possibly not paused to ponder where the money comes from to allow us to upload our holiday videos on Youtube. Now for anyone who no longer believes in Father Christmas, the tooth fairy and a free lunch service, it oughtn't to be too surprising that the companies behind these services are exploring every possible way to make them profitable. And not very surprising either, given the way that we use the services, that these profitable solutions include exploiting the information we consciously or unconsciously give them. There's little question that both Facebook and Google have been less than forthright in the way they've changed their rules, and Google may end up paying a hefty European fine for the way in which it has behaved. But the fact remains, these companies are offering us free stuff; somewhere there has to be a pay-off. It's up to us to decide whether the two sides of the equation balance up. The complaints I'm hearing about Google and Facebook remind me, incidentally, of the whinges I often encounter from readers of glossy magazines about the number of advertisements they have to wade through. Do these readers really imagine that the few pounds or dollars they hand over for a copy really pays for all the journalism, photography, editing and printing? If so, maybe the steady growth in free publishing and the high cost of advertising-lite eforts like World of Fine Wine should set them straight. Google and Facebook may now be worth more than many a small nation and they may have become as big a part of many of our lives as our morning cup of coffee, but we are not their subjects; none of us carries a Google passport. Yet. Stated simply, if you don't like the way your free lunch is served, take your custom to another soup kitchen.